A little more than a month ago Jodi from https://lifeinbetween.me/2017/10/16/peanut-butter-chocolate-triple-layer-cake/posted a cake that checked all my boxes for decadence, and had my son’s aka Big Baby Boy’s favorite candy bar in the world as its theme/ingredient. Jodi said she saw the recipe over on the blog called Life, Love, and Sugar here which inspired her to make the cake. 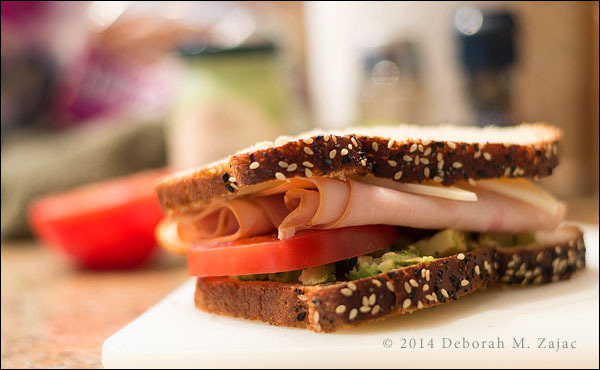 Jodi is a very accomplished baker, cook, and artist so she’s always changing up the recipes she finds. Me. I like to make the recipe as prescribed the first time, and make changes if needed on the next go round. I headed over to Lindsay’s blog to check out the original recipe, and decided to use hers b/c she used 8 inch round cake pans which I have, and Jodi’s version had 9 inch ones which I don’t have, and she used milk for the cake rather than half and half which shaved a few calories plus there’s a frosting/decorating video at Lindsay’s which helped me a lot since this cake looked really challenging to frost. I’ve linked to both Jodi, and Lindsay so you can read both postings. Thank you so much Jodi for the inspiration it was a HUGE hit with whole family! Thanks for sharing Lindsay’s link too the video was great for me! I hope everyone in the States had a lovely Thanksgiving, and I hope everyone everywhere has a lovely week-end! I must be nuts. It’s 90º here and I’m in a baking mood! 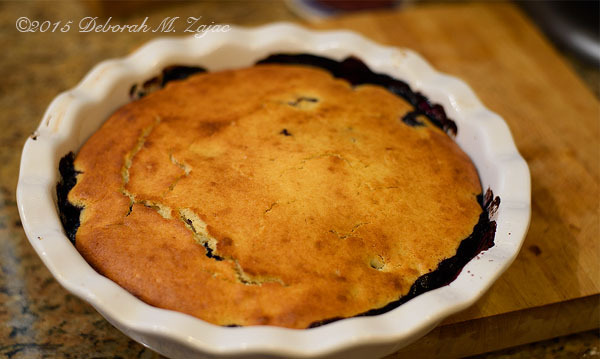 We bought oodles of fresh blueberries and rather than freezing them to keep them for shakes, snacks, and topping for cereal I decided to make a cobbler with them since I already have some in the freezer from last week. Ready to bake… This recipe went together pretty quick. Preheat oven to 425º. In medium bowl mix the blueberries, cinnamon, and flour to coat. Pour into pan. Mix flour, sugar, baking powder and salt in medium bowl. 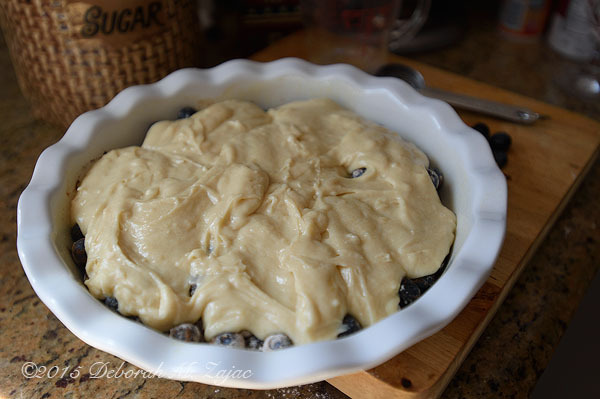 Add wet ingredients to the flour, stir until blended then drop by heaping spoonfuls over the blueberries. The recipe is from Cooks.com. I can’t wait to get this house done and bring in the box with my cook books! 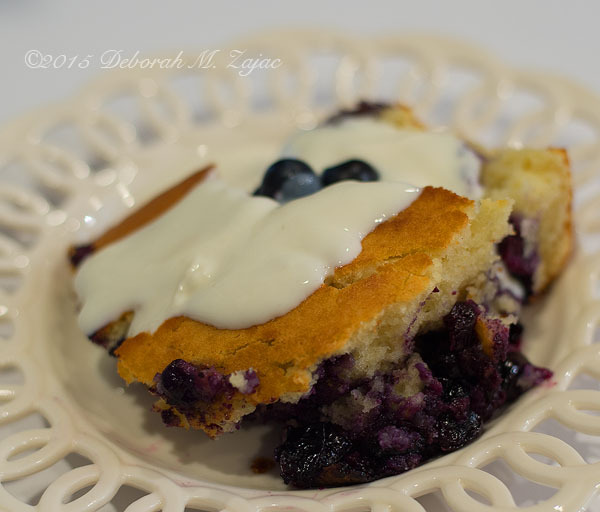 In April Lili of Lili’s Cakes blog challenged her readers to make a Tres Leches Cake and since I had never made one I decided to participate. The deadline to have my cake made was approaching fast so, on Mother’s Day I made my cake. I used a Martha Stewart recipe I found online since I couldn’t get to the box with my Mexican Cookbook. 90% of my books are packed and stacked in boxes in the garage while we’re working on the house. So, I gave most of it to friends, and the work crew working on my house. What are friends and work crews for right? 🙂 I did save myself one piece though, and it was even better the next day! 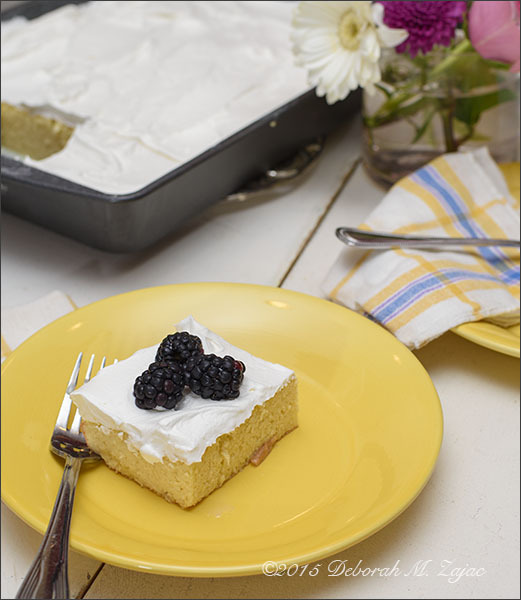 To see all the other Tres Leches cakes that were made and get recipes click here. P52 15/52- Sending You a Sweet Treat for a Perfect Day! 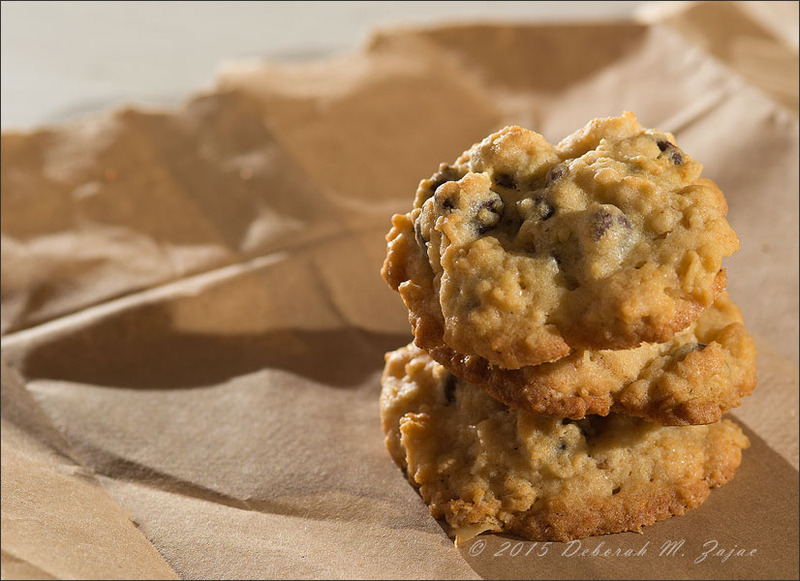 Home-made Oatmeal Chocolate Chip Cookies. 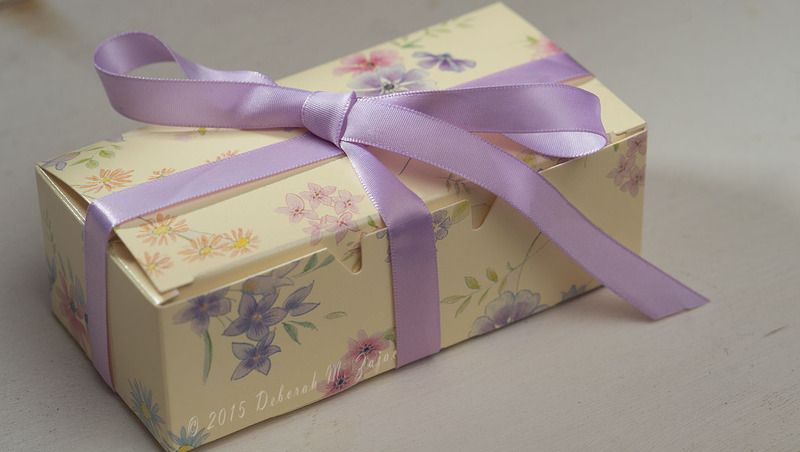 … and tied it all up in a perfect box for Spring. I hope you have a lovely day, and fantastic week-end! 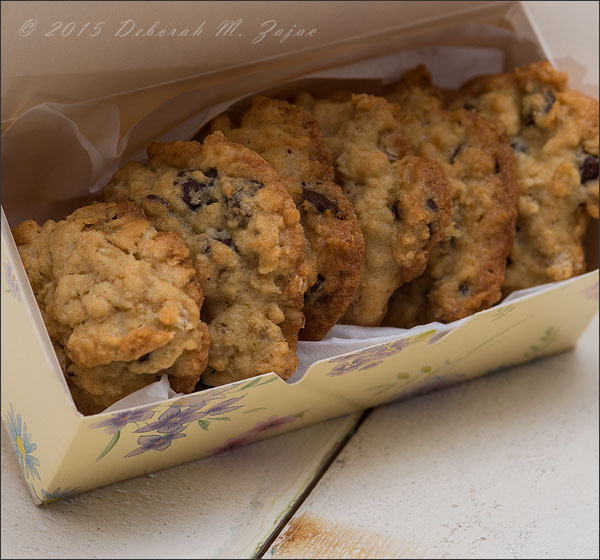 Author circadianreflectionsPosted on April 10, 2015 October 29, 2015 Categories Baking, Cookies, Food Packaging, Food Photography, From My Kitchen, Macro PhotographyTags baking, Cookies, Food Packaging, Food Photography, From my kitchen, Home-made, Macro photography, Oatmeal Chocolate Chip Cookies, Snack Box13 Comments on P52 15/52- Sending You a Sweet Treat for a Perfect Day! News Flash! Woody Catches the Gingerbread Man!! 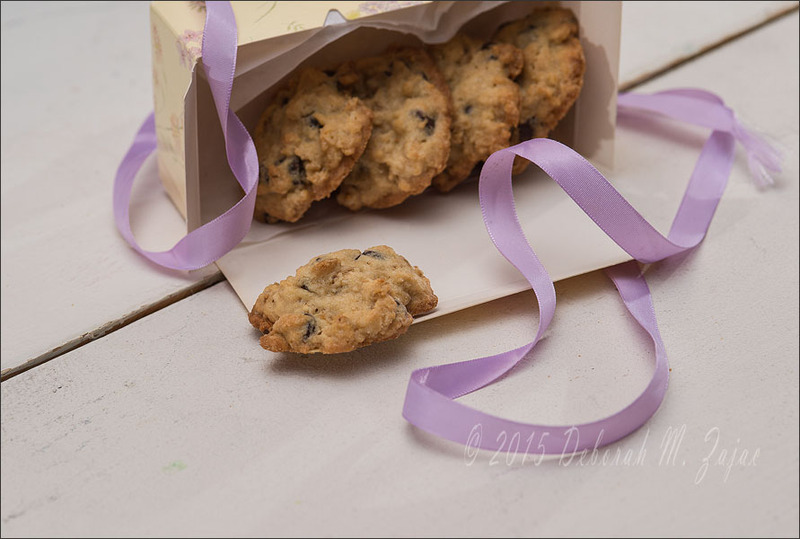 Author circadianreflectionsPosted on December 16, 2014 Categories Christmas Cookies, Creative Tabletop Photography, Food Photography, From My Kitchen, Gingerbread Man, Holiday Baking, Still Life, Woody's WorldTags Christmas Cookies, Creative Tabletop Photography, Food Photography, From my kitchen, Holiday Baking, Woody's WorldLeave a comment on News Flash! Woody Catches the Gingerbread Man!! I’ve been cooking and preparing more meals at home since He-Man and I are “home bound” these days. He’s says I’m spoiling him. I am just a little because he deserves it. I’m choosing this image for my Project 52 this week, because I don’t know if I’ll photograph anything else.